Here at Audio Mastered, we know you spend hours stumbling over the internet trying to find high-quality resources to learn from. 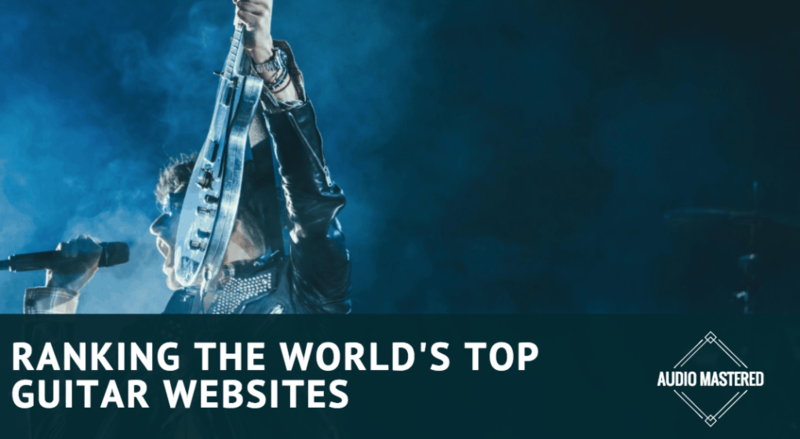 As I am just as guilty, I've created a list of the top guitar websites in the world. I'm sure you will be familiar with a number of these websites, but it's my hope that you will stumble into something where you can find value! The overall rank of the websites is determined through a combination of how much traffic the website receives, the number of Facebook followers, and the number of Twitter followers. The only metric you are probably not familiar with is Similar Web Rank. This number is directly correlated to the amount of traffic a website receives. The lower the number the better! While it is not a direct representation of traffic (Guitar World has approx. 2.9 million visitors/month with a corresponding Similar Web Rank of 25,588) it is a good comparative metric to use to judge the traffic of different websites. While it can be difficult to accurately measure the exact number of monthly visitors, Similar Web is highly accurate when used a comparative basis. It took me a long time to compose this list so I would appreciate any love from social media!! Guitar World is the biggest player when it comes to guitars. They have been publishing a monthly magazine since July 1980 and has added an online website as a second medium. They publish artist interviews, lessons, news, gear breakdowns and more. They are considered to be the authoritative source for all things guitars and has one of the largest followings of any guitar publication. This is the first resource you need to bookmark on your browser! 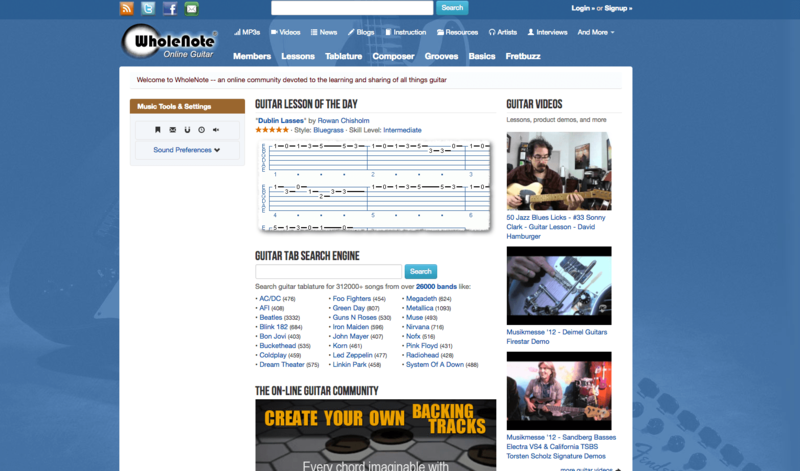 Ultimate Guitar has the largest bank of guitar tabs and chords on the internet. They are an absolutely indispensable resource when it comes to learning guitar. Every guitar player will be intimately familiar with UG. However, they are not just a tab website. 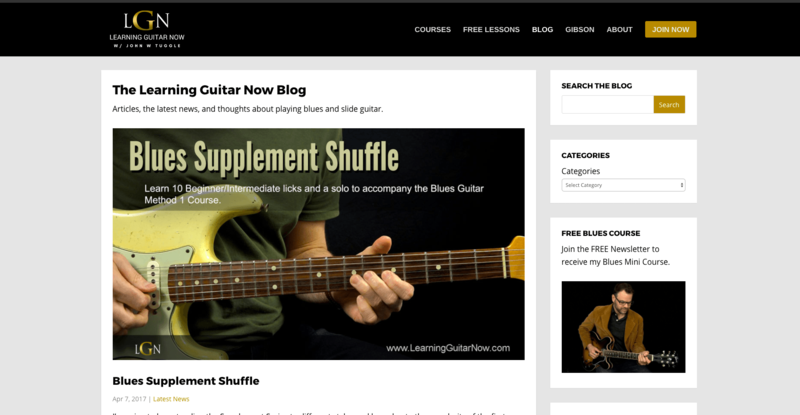 You will also find the latest up to date news in the guitar world as well as high-quality lessons and an active forum. 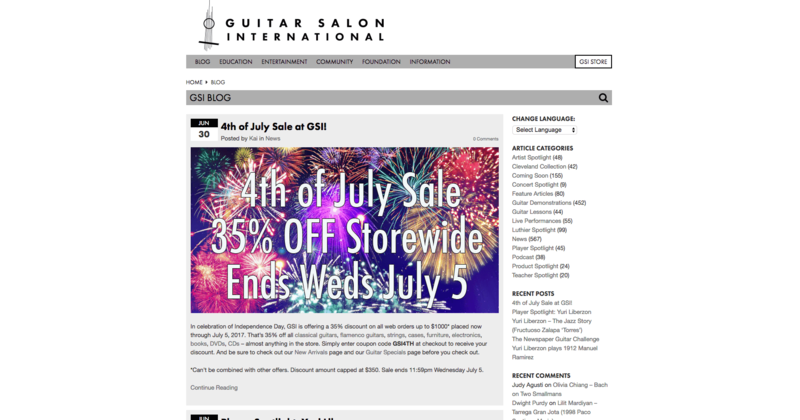 UG is a truly indispensable resource to the entire guitar community. But, you already knew that didn't you? Reverb is another one of the largest websites in music. 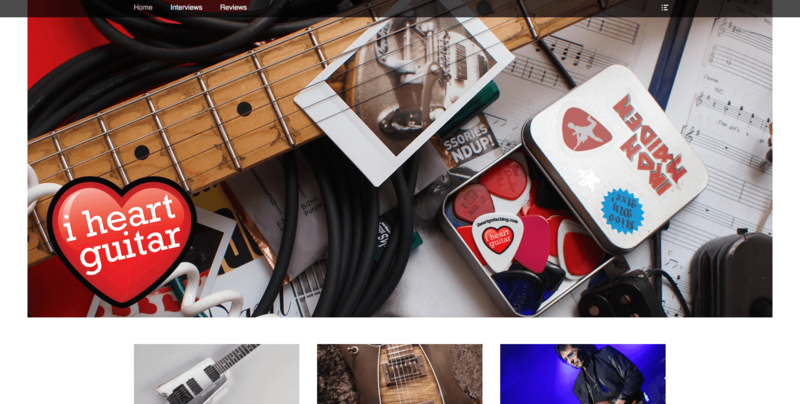 Although it is not entirely centered around guitar, the website is still extremely important for every guitar player. They offer one of the largest classified sections for guitars (as well as every other instrument). This gives us a place where we can buy and sell our old equipment to other passionate guitar players. They also stay up to date one all of the latest guitar news as well as providing helpful information on numerous subjects. Another resource that leaves the entire guitar community better off! 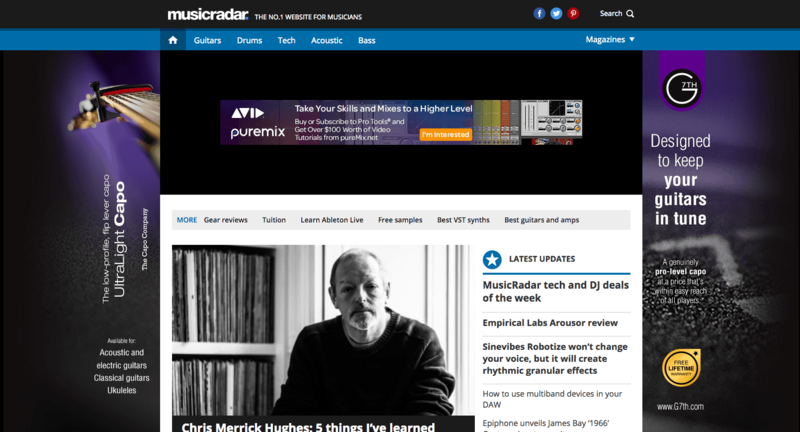 Music Radar is a massive site. It's not surprising considering the sheer quality of information and content that is constantly posted. There is a reason it's so high on our list - it's one of the most entertaining resources for musicians. You'll find information on the lastest gear as well as insightful interviews with industry leaders. 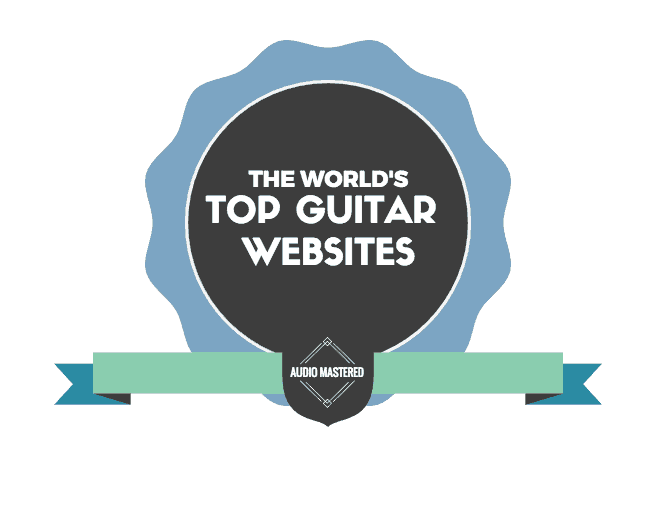 I'd be surprised if any of you haven't heard of Music Radar, but a list of the top websites for guitar would never be complete without including it. If you are lucky enough to be stumbling upon it for the first time, be prepared to get lost for a few hours! 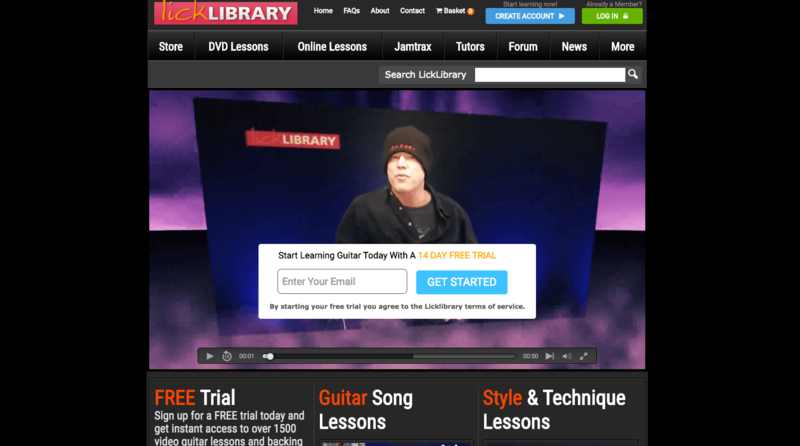 Justin guitar is the best online resource for learning guitar. If someone asked me where they should begin their guitar journey, I'd tell them to head over to Justin Guitar and start working their way through the free lessons. The material on Justin Guitar is mind-blowing. Over 1000 free lessons! The lessons come in video format so they are incredibly easy to follow. The best part is, it covers all levels. Straight from beginner to master class - you are covered. Love it! 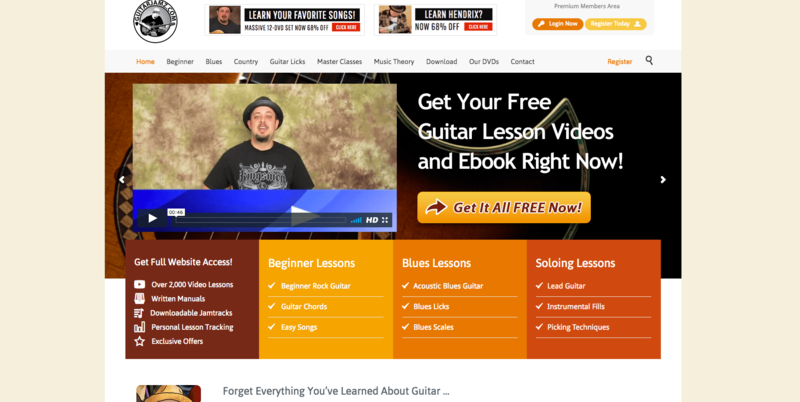 Another amazing resource when it comes to learning guitar. If you are looking for professional, easy to follow lessons, this site is for you. It has material for all levels of guitar from beginner to advanced. It's one of the only guitar resources with its own unique system for learning guitar. I've also found their guitar chord chart to be very helpful when trying to remember obscure chords that I haven't played for a while. This is something you need to check out if you are looking for some help learning the guitar. Another amazing place to learn guitar. The lessons on True Fire are professional and comprehensive. In addition to the paid lessons, there are many lessons offered for free for those on a tight budget. Similar to Guitar Tricks, it offers an accelerated learning path for each style of guitar. True Fire is an exceptional resource for those looking for a professional set of lessons that will skyrocket their guitar playing. Be sure to check it out! Jam Play is another top-notch resource for guitar players. They have over 5,500 guitar lessons to chew through with 11 hours of new material being added each month. 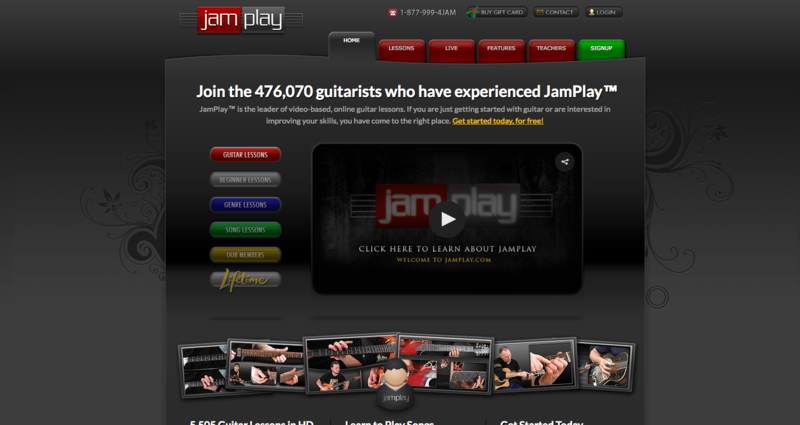 In addition to the wealth of guitar knowledge, you will also gain access to the Jam Play community. Full of members like you who are on their own guitar journey. In my opinion, the main attraction of Jam Play is in the quality of teachers. It's one of the few sites that give you access to actual performing artists that are actively playing and performing. No matter your genre, you will find a teacher that is actively playing and performing to learn from. Love it! This is personally one of my favorite sites in the guitar space. It provides great up to date information about the guitar world as well as reviews gear and publishes interesting interviews. One of my favorite sections of the website is the rig diagrams. This is one of the best resources for anyone looking to find out what their favorite guitar player is using. You can spend hours lost in the weekly videos watching other amateur guitar players shred solos or head over the gallery to check out other players rigs. Enjoy! Far and above the best resource for Jazz guitar enthusiast. It provides you in-depth information for the world of Jazz. From lessons, to gear, to theory, Jazz Guitar has you covered. Check out their blog and free e-book for a great introduction to the site. The forum on the site is also a great place to have your specific questions answered or you want to connect with others in the jazz community. 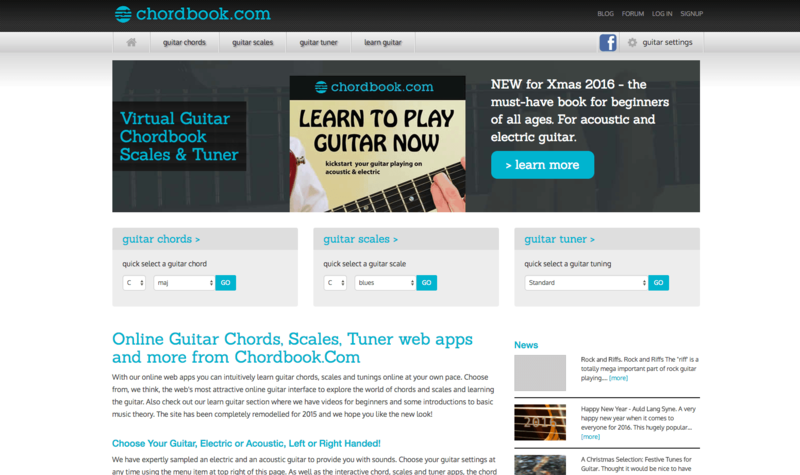 Another indispensable resource for the guitar community! Guitar Noise is a great in-depth resource for guitar players. There are great walkthroughs of many popular songs as well as informative blog posts on everything that a guitar player should care about. Check out the blog posts on guitar practice - a highly informative resource for anyone who is having difficulty finding the time. There is something for everyone on this website. The best part is, it's free! Additionally, check out the Guitar Noise Podcast for an extra resource. ​Highly recommended! If you've ever searched for guitar lessons on YouTube you've definitely run in Marty Swartz from Guitar Jamz. I've definitely spent a few hours listening and learning from Marty. I find his style of teaching very approachable and engaging. His knowledge of guitar and playing ability is exceptional - no surprise he is one of the most watched guitar teachers on the planet. 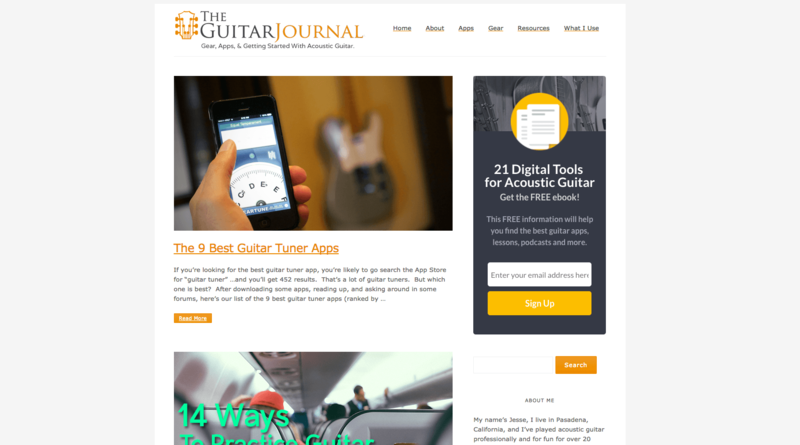 The Guitar Jamz website is a more in-depth resource for those looking to propel their guitar skills into the next level. I often recommend Marty to anyone who is first learning the guitar. We're lucky to have him! Matt Warnock is another authority in the Jazz Guitar space. 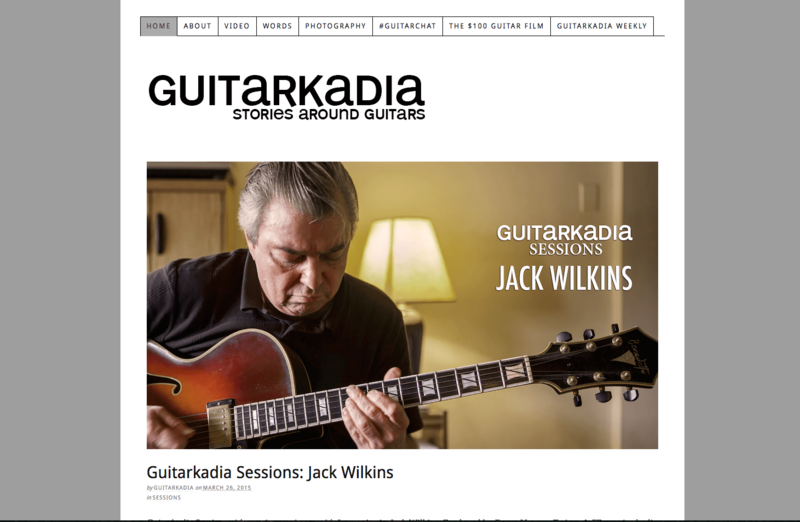 If you are interested in learning Jazz Guitar then head over to his site and download his free e-book aimed at the beginner jazz guitar player. You'll be learning an incredibly knowledgeable resource. Matt has a doctorate in Jazz music from UIUC. He has also taught over 5000 lessons, making him a seasoned professional. 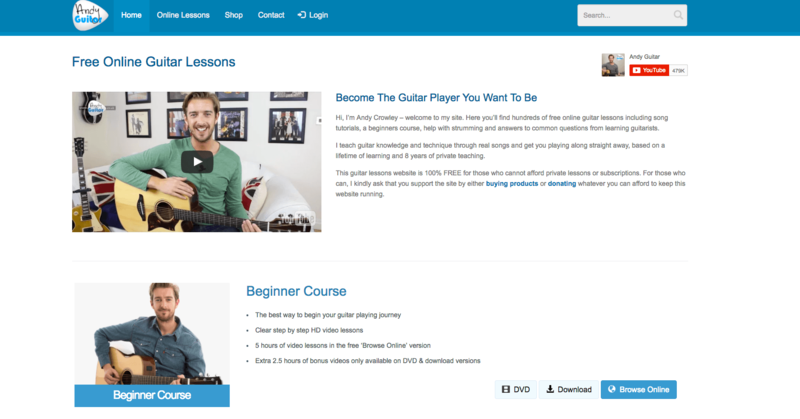 I've heard nothing but good things about Andy and his style of teaching guitar. I highly recommend taking his beginners and strumming courses if you are looking to start off your guitar journey with a friendly and knowledgeable teacher. The best part is, it's totally free! Although, I suggest you leave a donation if you find some value so Andy can continue to provide the community with his high-quality lessons. Many beginners find that strumming is one of the most challenging aspects of learning acoustic guitar. I think Andy has put together one of the most comprehensive resources to cover this subject - definitely something worth checking out! 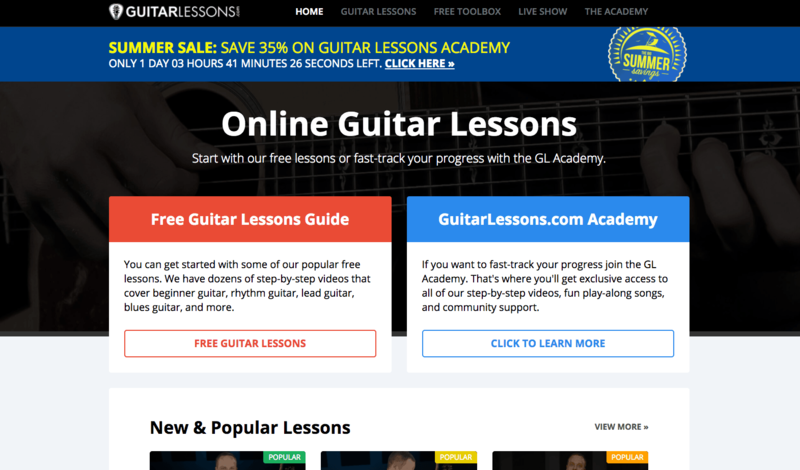 Guitar Lessons offers a unique lesson resource that combines loads of high-quality free lessons as well as a paid academy for those looking to fine tune their guitar skills. The academy is best for those looking to learn quickly in a structured lesson package. You will also have access to the helpful staff if you have any specific questions not covered in the lesson material. If you are brand new you should check out the Quick-Start Beginner series that tailor made for those just picking up a guitar. They also have more niche options, such as fingerstyle and how to read sheet music. Another great overall resource for the entire guitar community! 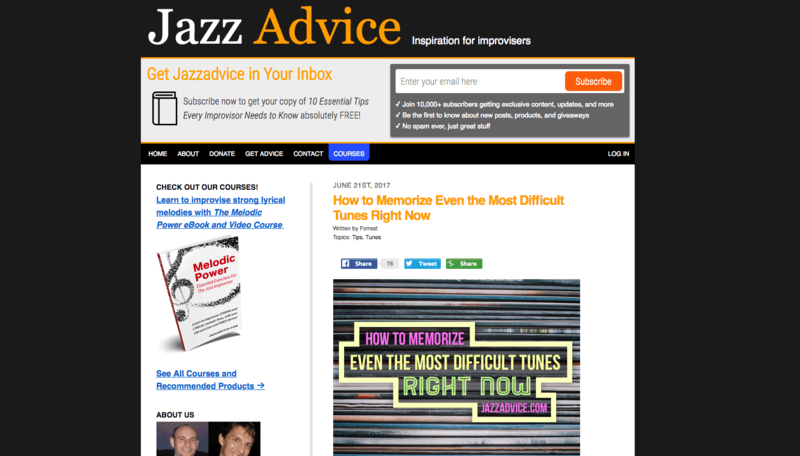 Jazz Advice is a resource where Forrest and Eric have condensed all of their combined experience into easy-to-follow courses. In my opinion, Jazz Advice is best suited for more advanced players who are ready to tackle subjects such as visualization for improvisation and ear training. They cover a ton of subjects that many of the sites above don't even mention. It's a goldmine for all guitar players! I recommend checking out the course on reprogramming the musical mind. It covers some interesting ideas on creating the optimal mental state for music! If you are still yet to find a website to help push your guitar playing to the next level, Lick Library has the potential to be that site. The guided journey makes it easy for students to learn progressively at a pace that is comfortable for them. It's a great place to build a solid foundation that will serve you well through the rest of your guitar journey. Head over and check out a few of their sample resources and see for yourself. One of my personal favorites. 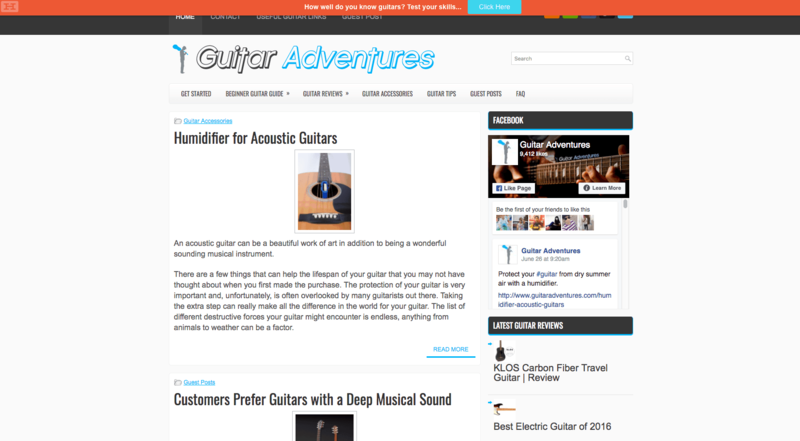 Guitar Adventures has great information regarding guitars and guitar accessories. 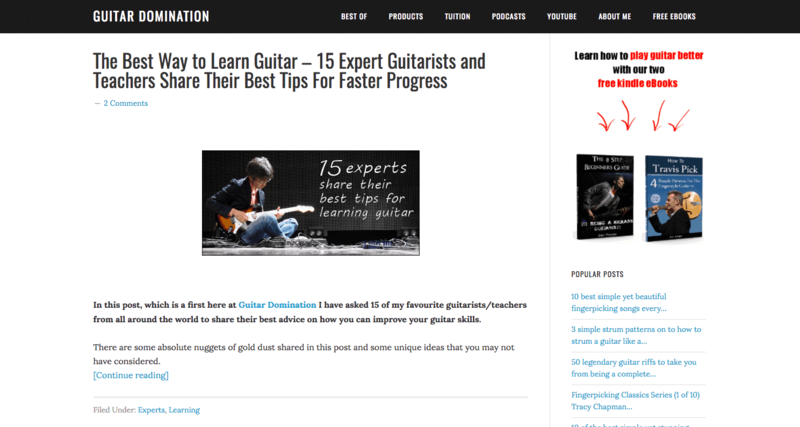 The cover subject from lowering your action to the best acoustic guitars for beginners. Before you buy any guitar related gear head over and check out what Guitar Adventures has to say on the subject. You'll be thankful you did! I personally find the Tips and Tricks section the most valuable. There have been many guest posts covering a wide range of topics such as how to adjust your truss rod, jazz licks, and how to master palm muting. Love it. Another invaluable resource for all levels of guitar players. Dan has shared quality information you need to check out if you want to take your guitar playing to the next level. I recommend checking out the resource on ear training - something for intermediate to expert level guitar players. Jamming with guitar players who have big ears has always been a pleasure for me. The only way to develop your ear training to is practice. Check it out! You'll also find a bunch of other posts that give you tons of guitar hacks to help shorten the learning curve. Spend some time on the site and you won't be disappointed! 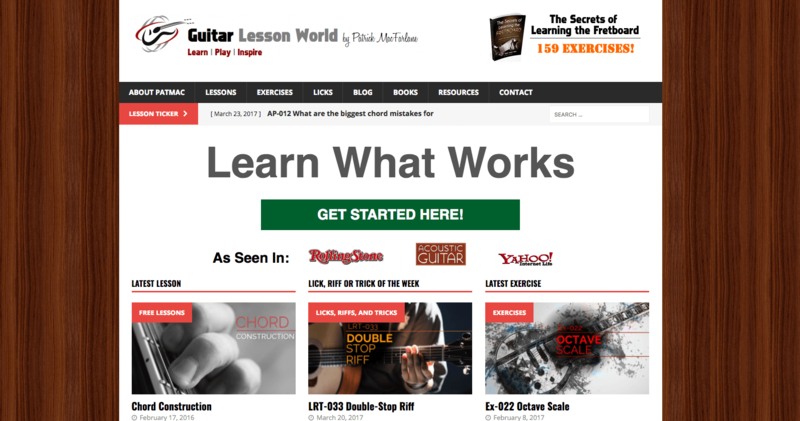 Created by Patrick MacFarlane, Guitar Lesson World is another great resource to help push your guitar playing to the next level. You'll be learning from an experienced guitar teacher with over 20 years of playing experience. It's important that you mesh with the teaching style of your guitar teacher. Patrick is a patient teacher that explains complicated concepts in a way that is easy to understand. The site has a ton of free resources that you can chew on if you don't have the budget to pay a guitar teacher. Make sure you head over and check it out! This resource can be extremely useful for every level of guitar player. I know for myself I need to look up obscure chords all the time. I also find it incredibly useful when songwriting or coming up with new voicings. The UI is extremely easy to use. I highly recommend every guitar player knows this exists and use it on a regular basis. The best online resource for learning the blues. John has over 20 years of experience you can learn and grow from. His blues lessons have been featured by Gibson and Ultimate Guitar. If you've ever wanted to play like Hendrix or Clapton this is your best resource. If you are unsure, head over to the blog to see what John is capable of. There are over 1000 videos for you to learn from - all centered around blues guitar. There isn't a more comprehensive resource available online. Dig in and go crazy! Many of the other sites on our list are focused on teaching you how to play the guitar. This site is different. Head over and check out some of Peter's recent interviews with professional guitar players. Peter also writes for Mixdown Magazines so he has access to many of the big players. If you are passionate about the current guitar scene, this is where you should be hanging out. Gearheads can also head over to the review section to check out some interesting opinions on guitar gear. Electric guitars, bass guitars, guitar pedals - it's all covered! Trying to write your own tabs? This resource is absolutely essential. Guitar Tab Creator takes a potentially hair-pulling process and makes it extremely easy and straightforward. The impacts of Guitar Tab Creator on the entire community is difficult to quantify. I would be half the guitar player I am today if it weren't for guitar tabs. 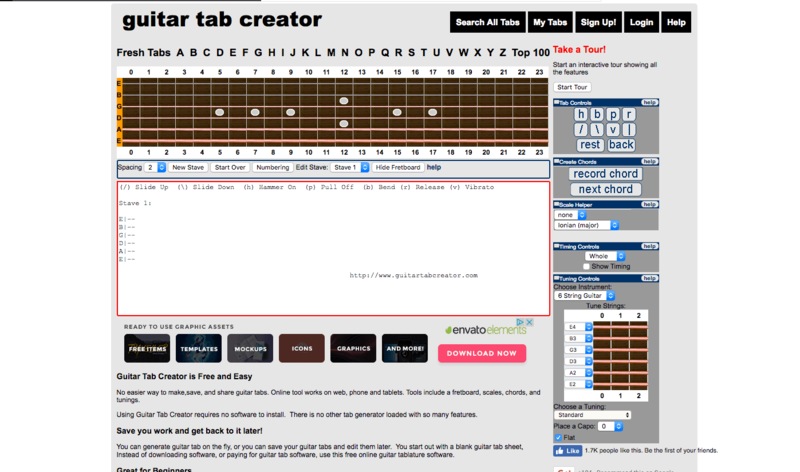 If you are skilled enough to pass on your knowledge you need to be using Guitar Tab Creator. It will make your life 100x easier! 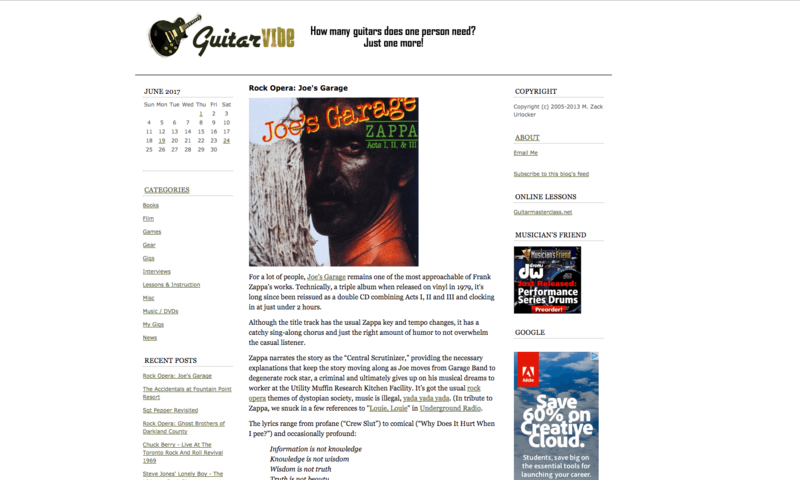 Guitar Interactive Magazine is one of the most popular digital magazines currently available. As of writing, they are releasing the 50th issue. You'll find many in-depth, well written features on all of the current prominent guitar players. In addition, you'll find comprehensive reviews on guitars and guitar gear. Be sure to check out the tech sessions where they review specific technical tutorials on everything to do with guitar. They breakdown famous guitar players such as David Gilmour and Carlos Santana (these are also included in the issues themselves). 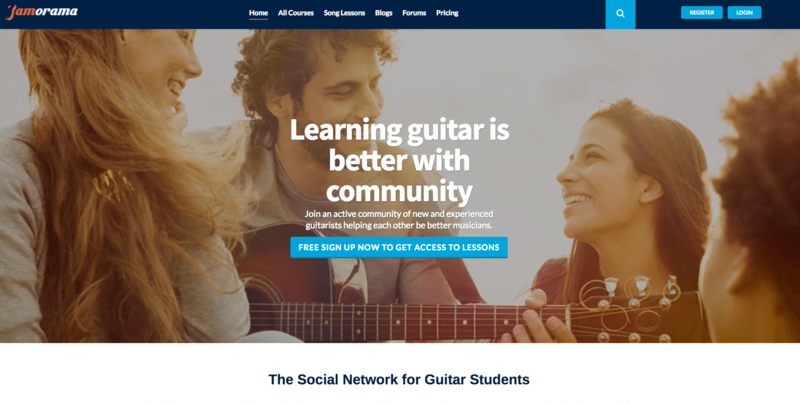 Whole Note is a great online community that enables guitarists of all levels to connect and share their knowledge. It's primary purpose is to provide tools for knowledgable guitar players to create lessons that can be shared with others in the community. If you are someone with loads of experience or are just beginning, head over and see what you can contribute! Whole Note is another resource we are lucky to have. Please support the creators by either contributing some lessons or following them on social! Guitar Hippies is another one of my personal favorite guitar blogs. You'll find a lot of value in their guitar hack section as well as in their inspiration section. I find that Alon really tries to provide relevant, high-quality information for his followers and covers many topics you won't find anywhere else. Make sure you head over and explore a few of the different categories. There is something for everyone. You'll get a down to earth run through of subjects like singing while playing guitar and cool DIY projects. One of the best online resources for classical guitar. They are one of the largest online retailers of classical and flamenco guitars. If you are looking for guitars that are pieces of art, this is where you will find them. There are also plenty of performance videos of incredibly talented classical guitar players alongside a number of professional lessons and artist spotlights. Another amazing resource for guitar players. You'll find a mixed bag of information here including gear reviews, educational guides, and artist spotlights. The Guitar Journal covers the best guitar apps and various acoustic gear with a wealth of first-hand experience. It covers gear used by some of the popular acoustic guitar artists of the day. There is something for everyone here. Finally, I recommend signing up to get the 21 digital tools for acoustic guitar - something not covered by many of the other resources on this list. A very interesting concept. It's always much easier to learn when you are surrounded by others at your level. Jamorama provides that opportunity. There are a ton of free lessons as well as a forum to discuss any specific issues. For a one-time fee you can get access to the entire lesson portfolio as well as the community. There is also a wealth of information in the blog that you can instantly access. I personally like the idea of the 1-hour guitar workout. A guided walkthrough of strength training, scale training, strumming training, and finally the 1-hour workout. Another website centered around classical guitar. You'll find tips, lessons, news and interviews with relevant artists. Be sure to head over to the free section and pick up any resources that interest you. There is plenty of information on a wide range of topics. Check out some of the more advanced theory if you feel your guitar playing has stalled. If you are looking for a teacher in your area, head over to the guitar teacher category and see who is available! 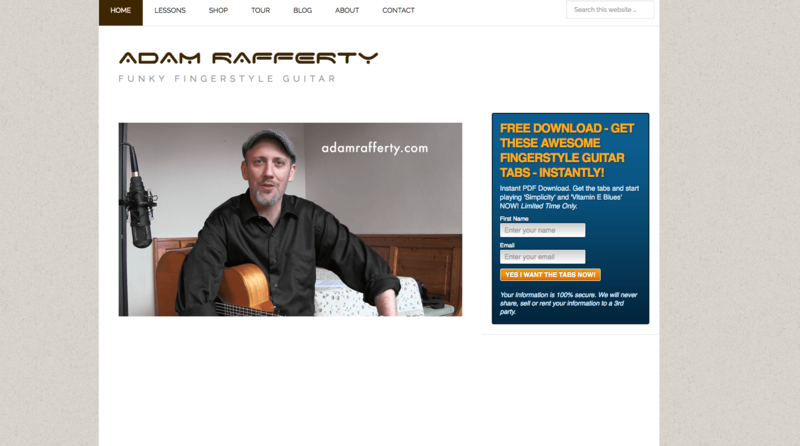 If you are looking for something that is different from all the other lesson sites Adam Rafferty is a good option. He focuses on fingerstyle guitar and is one of the leading guitar teachers in this style. He offers a 14-day free trial you can check out at not cost. There are also plenty of free lessons available so you can get a sense of his teaching style. The blog is also a worthwhile read. You'll find plenty of interesting information as well as meaningful discussions. Love it! Love shopping for guitars? 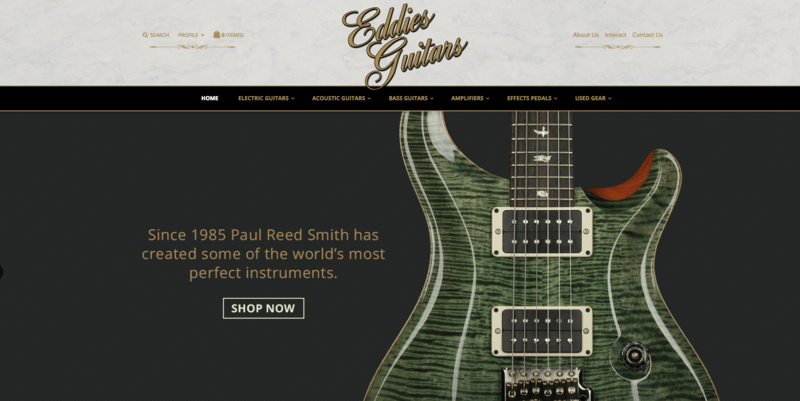 This site specializes in the finest guitars available. The prices aren't for the faint of heart, but you if you need a work of art to add to your collection this is a great resource to help you find it. A great guitar directory to help you find interesting guitar amps, pedals, and electric guitars that would otherwise be difficult to find. You'll also find a number of interesting interviews with guitar builds and other content related to guitar gear. Definitely something to have bookmarked if you are a gearhead. 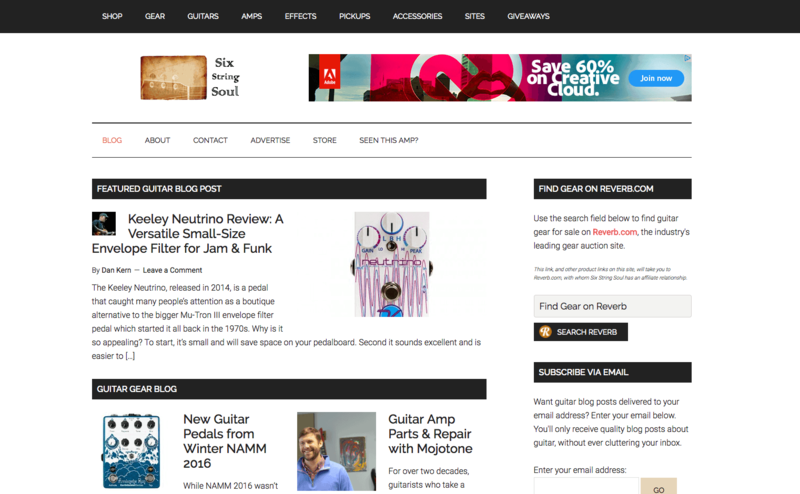 Shredadholics covers numerous topics including guitar news, gear reviews, lessons, and other informative articles. There are a number of worthwhile reads if you are a guitar teacher who is struggling to find new students. Check it out! Build Your Guitar is a very unique and exciting community. 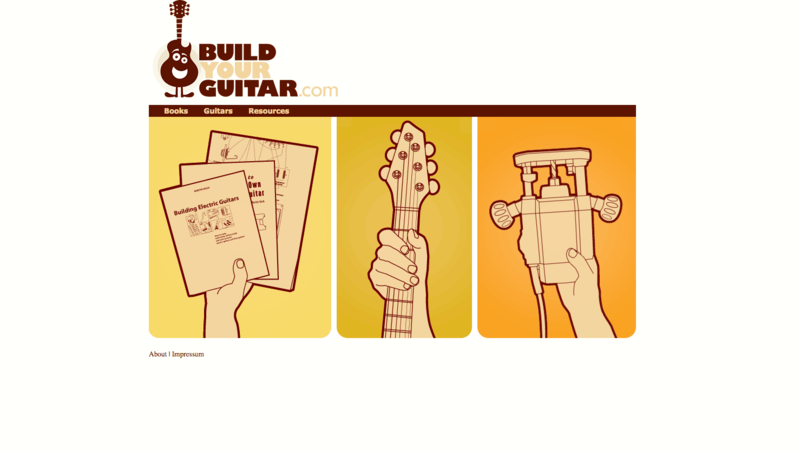 Founded by Martin Koch, a self-taught amateur guitar builder, Build Your Guitar is the best online resource for any aspiring luthiers. Check out some of his beautiful guitars he has built and maybe you will be inspired to start your own! Another great resource for the Jazz enthusiasts. There is a ton of information on this site for every level of player. It's an awesome resource if you are looking for transcriptions of solos and licks from famous Jazz players. It also provides a comprehensive list of all the scales and modes you could want in an easy to digest format. Be sure to check out the selection of PDF books for anything that interests you. Overall, just a great resource for every level of Jazz guitarist. Although this website isn't as popular as some of the other sites on our list it is still a huge goldmine. 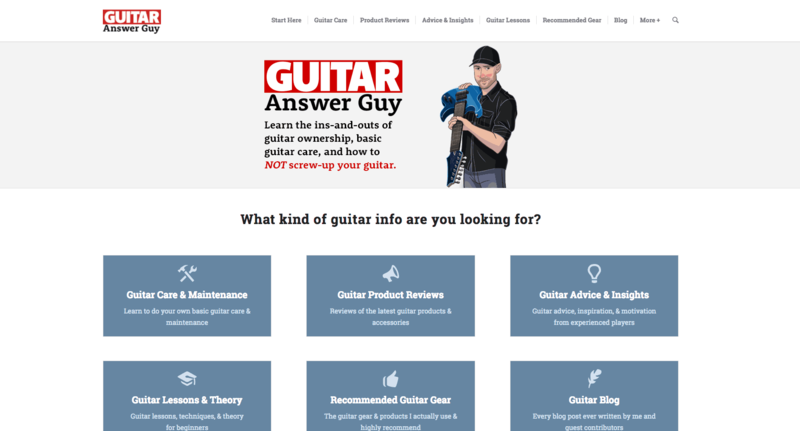 If there is one site that is a hidden gem, it's Guitar Answer Guy. There is a huge variety of information that every level of guitar player can benefit from. Bobby writes comprehensive posts on useful topics such as guitar action, flying with a guitar case, string buzz, practice habits, and common mistakes made by new guitar owners. There are also informative product reviews and professional lessons. You'll be able to learn most of the things you need to know from this website alone. We're lucky to have it! Created by Emon Hassa, Guitarkadia strives to present stories centered around guitar using videos, multimedia, text, and photography. You'll find many artist interviews and other unique content from the world of guitars. This is one of the most unique sites on the list and is definitely worth checking out. Guitar Vibe is created by Zack Urlocker and provides a unique perspective on popular subjects centered around guitar. You'll find discussions of popular albums mixed in with gear reviews. There are plenty of interesting interviews to dig your teeth into as well as a list of book reviews. The information is definitely top-notch and is worth checking out! Head on over and see what you can pick up! No problem Bobby! Your site is great!